Hedgehog is an evolutionarily conserved pathway which initiates a range of cellular responses including proliferation, differentiation, survival and cell fate decisions. The human homolog, Sonic hedgehog (Shh) is a diffusible morphogen which directs development, maintenance and renewal of various organs (notably lungs, eye, and hair). During embryogenesis, Shh is expressed abundantly in the neural tube, gut and limbs, while in adult tissues, it regulates stem cell division and tissue homeostasis. 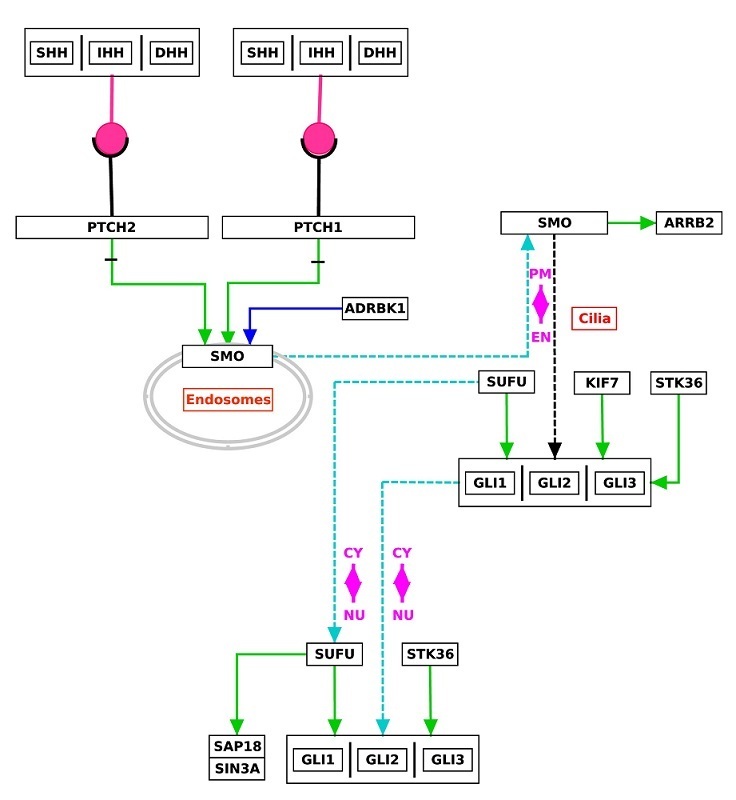 The Shh pathway has crosstalk with several other prominent signaling pathways, including EGFR, the PI3 kinase/Akt/mTOR axis, and the RAS/RAF/MEK/ERK axis. While the repercussions of aberrant Shh signaling are still being investigated, hyperactivation of this pathway has been implicated in cancer of the lung, breast, ovary, as well as medulloblastomas and basal cell carcinomas.